People have been storing information online for quite some time. That ability was brought to a new level when Dropbox was introduced a year or two ago. That's worth mentioning today because, as you'll see, there have been some creative new developments with the application. Back in 2008 when the application Dropbox was first introduced to the public, it was heralded as being one of the most promising new tools for online storage, file syncing, and sharing. Just as it continues to be today, Dropbox is a cross-platform system plug-in that gives users a shared drop box where they can unload files and then access them from multiple computers, similar to how they would on a home machine. Dropbox can also keep track of any changes that might occur to files. This feature is especially useful, because it also allows users to revert back to previous versions that have been archived using cloud storage, which basically means saved online as opposed to one specific, physical location. The application also has a photo album feature that's considered particularly well implemented, as it automatically groups together a folder of photos and categorizes them into albums using the available metadata. Visual notifiers even inform users when a file is syncing up with the server. The MAC version of the app even lets users know when a change is made to their drop box, and if a file needs recovery, it can be sent back to its correct folder using the Internet. Even if users find themselves away from their PC, they can still access their files from the application's web interface. So why all of this attention to an application that was created in 2008? Well, since its creation, people have thought of some pretty ingenious ways to use the app, from remotely controlling a PC to using the application to be more productive online. Let's take a look at some new ways to utilize Dropbox as well as a couple of new applications that perform similar tasks. According to Simon Mackie, a tech contributor to the New York Times and a writer for GigaOM, a blog about new technology, Dropbox can be used remotely to control a PC when used in conjunction with Akira (a Windows utility) and its companion server Latte can "send commands to a remote Windows PC via Dropbox." Basically, Akira uses Dropbox's synchronizing capabilities to provide basic networking functionality by using shared folders to communicate between clients and servers. To use Dropbox and Akira to control a PC, a user must already have a Dropbox account that is used on different, authorized computer systems, or they must have different Dropbox accounts that have already been authorized for access. As mentioned previously, Akira comes with the Latte application, so the installation process and usage greatly depends on the number of Dropbox accounts being used. In order to use Dropbox and Akira, a user must place the Akira folder into the Dropbox folder on their computer system. It's important to point out that other PCs linked to the Dropbox account can automatically begin using Akira, while other Dropbox user accounts need to be authorized beforehand, which then enables users to begin working with Akira. Once Akira and Dropbox are working in sync, users can send commands to take care of any common administration tasks they previously had to be sitting at their PC to perform. For example, they can open a file, terminate a process, run an application, take a screen shot, or completely shut down the PC, among other tasks. ◉ View contents of a drive. ◉ View contents of a folder. ◉ Terminate a running process. ◉ View currently running processes. ◉ View a list of all available drives. ◉ Generate a screen shot of the current server screen and place it in the Dropbox. ◉ Get a specific file from the PC's server and place it in the Dropbox. ◉ Open a website or any URL with the server's default browser. Now that we've discussed how Dropbox can be used to remotely control a PC, it's time to find out ways that the application can be used to promote productivity. Admittedly, remaining on task and being productive are hard things to do on a home PC, especially when the Internet is just one click away. Thankfully, the Dropbox application has a few tricks up its sleeve. There are countless productivity tools and services that people count on to help run their lives and their businesses, and if you think about what tools you rely on the most for your business needs, you'll probably name standard CRM and invoicing tools. Obviously, these have become critical for day-to-day operations, but unexpected applications like Dropbox can pack a surprising punch, and not just because of the obvious perks like synchronizing files. So, it's time to think outside of the box -- no pun intended. 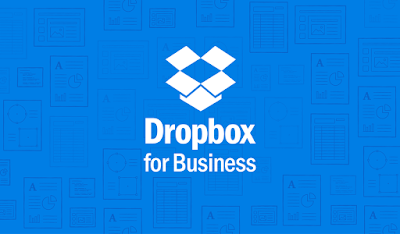 For those who have a small business and must travel often, depending on their laptop to act as their mobile office, Dropbox can prove to be an even more efficient option for file sharing than going through the trouble of setting up a shared network folder. Mainly, this is because the Dropbox app has a built-in versioning function, which gives it the ability to access files, even if the user is away from their home or office computer. This is incredibly useful, because whether the user returns to using their office PC or checks in from their laptop, any changes that occurred to the files they were working on will automatically be pushed back to any other users who are on their network. In terms of password synchronization, Dropbox is useful to just about everyone, not just small business owners. A majority of us do a lot of online shopping, banking, posting, and socializing online, which means that many of the websites we routinely visit on any given day requires us to type in a username and password, and obviously, these aren't easy to keep track of. So, it goes without saying that a good password management system is very critical these days, and thankfully, Dropbox has this covered. After all, we can't be very productive if we're staring at our computer for twenty minutes ripping our hair out trying to remember our password. By using Dropbox in conjunction with the affordable software called RoboForm, Dropbox makes it easy to keep all account information, usernames, and passwords in sync with every computer you use. All a user needs to do to make this happen is move their RoboForm profile to their Dropbox folder and point all of their computers to it. Once this is complete, users will always be able to log on to each and every one of their sites from any computer -- and here's the best part -- never forgetting their password again. Setting up shared Dropbox folders is an excellent way for users to be able to distribute reports or other information to their clients. The information users send out using their shared Dropbox folders gets "pushed" to all users, meaning their clients will no longer need to retrieve any data that they need. Using this same file distribution method, clients can also easily share files back without ever having to concern themselves with e-mail limits or other frustrations. It should also be pointed out that using Dropbox in this way will be especially helpful to technophobes or those not too keen on having to learn new ways of doing things with technology. This is because there are no new interfaces to learn, which means a less tech-savvy user will have a much easier time learning this Dropbox method than any other that may be implemented. 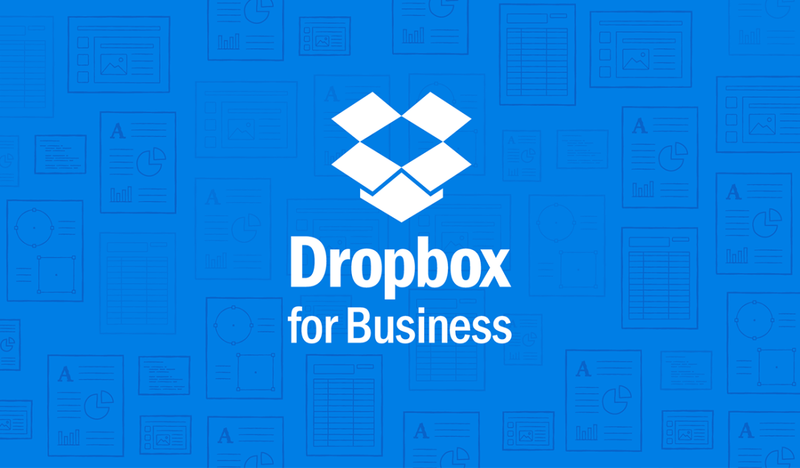 Dropbox is a huge steal. Not only is it easy to use and incredibly flexible, but it's also free for up to 2 GB of storage. Monthly plans are also available, but even with 100 GB of storage, Dropbox will only run you $19.99. Downloading Dropbox for no other reason than using it to remotely control your PC may not be worth it. If that's the only aspect of the application you're interested in, you may want to consider using an app that does just that. LogMeIn, for example, is an application that be used for business use or personal use to access and back up home or work computers from anywhere with an Internet connection. The service also enables its users to support, access, and manage their Windows PCs, Macs, and smartphones.